Rent a small automatic car on Paros "Suzuki Celerio" – Choose our small automatic rental car that’s surprisingly spacious on the inside. A five-door practical design car for hire ideal for touring around Paros. Great fuel economy, manoeuvrability, and superb visibility for all passengers! A polymorfic vehicle with a lot of free space despite its small size.A car with a modern design, easy to drive and very flexible. Aeon comes with an engine of 200cc or 230cc.It is suitable for two persons.This 4-stroke quad has a powerfull engine that can carry you easily everywhere in Paros.Easy to drive and comfοrtable for the passengers. 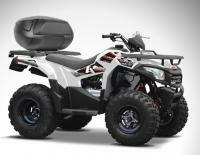 Yamaha LINHAI comes with a powerful 4-stroke engine of 400cc. If you are looking for comfort, reliability and perfomance this is the ideal vehicle. A car with funcional beauty and splendid interior design! Every inch of the i20 spells of comfort and convenience. Rent a cabrio car on Paros with ML. Peugeot’s stylish 5-Door car, the new 108 is a hatchback with an open TOP! Cabrio. Full of character is a great choise for rent on Paros island. A new Model suitable for 4 people with an open top - Cabrio. Automatic transmission makes driving easier for everyone! This is a new spacious hatchback with more Space for passengers. If you like an open top cabriolet car in your holidays and you want to drive without any worries along the natural beauty and the beaches of the island rent a car "Suzuki Jimny" and do not miss a thing on Paros! Chevrolet Aveo offers economy and safety in a package.It is fun to drive and reliable. With plenty of room for five persons, you can enjoy your holidays in Paros without any worries! A smart car available for easy transportation on Paros, The safety and comfort of the car in a very small package easy to handle! A car with 5 doors which is spacious for its size and fun to drive. It is certainly an excellend choise especially if you haven't got enough experience with the manual gearbox! This is the famous 500 with an open top. A small cabriolet-covertible car to enjoy the sunny days on Paros!! The best Paros car rental choice: If you are a big family or visiting Paros with friends rent a minibus to enjoy enough space for all passengers or lift the backseats for extra luggage space. A legendary motorcycle available now on Paros! 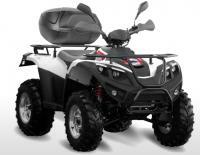 Ride with safety and no limits all over Paros with a 900cc trail bike! A car that is easy to drive on narrow roads and tight parking spaces.Grand Vitara is for people who do not afraid to live beyond conventions. An attractive and stylish car....Kia Sportage is one of the roomier small SUVs. By all means, it's not a borring car to drive! !